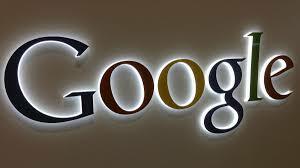 Google recently made a tax settlement with HMRC (HM Revenue & Customs) in Britain. A figure of £130 million was declared a sweetheart deal by the media, totally disregarding the known fact that the tech company hadn't broken any UK tax laws. I'm actually surprised that nobody has come out in support of Google in spite of the benefits we all seem to enjoy, utilising a lot of their apps and products daily. Many are free and those that aren't, are usually quite affordable. Where is all this envy and anger coming from? This company puts a lot of resources at our disposal, empowering, educating and informing at little or no cost to the consumer. Suddenly it's made the poster child for tax avoidance. Absolutely unfair! The companies that need to be scrutinised are the tobacco company, the banking group, an oil company and a mobile phone brand that paid zero tax in the last financial year. Another oil company and a major drugs company refused to disclose how much they paid in tax to HMRC. Google is one of the most transparent, innovative and forward looking companies in existence today. A unique business model that should be copied rather than denigrated. They hire the best talent available, developing productivity by investing in their workers and bring to market great products at affordable prices. I salute Google..
Is a company that hires on merit, inspiring it's employees by encouraging and providing resources for their workers to have and to own personal side projects. A revolutionary business model that inspires and empowers workers should be lauded. Here are some facts I found in Laszlo Bock's book - Work Rules (Insights from Google). 1. Google is consistently rated one of the best places to work in the world. Striking a balance between creativity and structure. They strive to build a better company from within rather than from above. 2. A manager at Google cannot unilaterally hire someone, make pay and promotional decisions without input from others. 3. The company creates a work environment of mass empowerment where employees feel and act like owners. 4. Where possible, Google tries to remove what Laszlo calls, "the signifiers of power and status." There are only four meaningful, visible levels at Google. The Individual Contributor, Manager, Director and Vice President. 5. The technical people remain individual contributors throughout their careers. They are free of course, to chose their own title as long as it isn't self-aggrandising. We all have to realise that Google as a company, invests in people, technology and resources. They bring great products to the marketplace that people utilise and enjoy. They deserve to make a decent return on their investments. There are different categories of Google haters out there, the most dangerous are those who want to preserve the status quo that Google directly and indirectly challenges. Those whose business models, employee relations and ways of working are outdated and as a result, are no longer relevant to consumers. Those businesses that want to pay the barest minimum and extract an absolute maximum from their employees are the companies I love to hate. 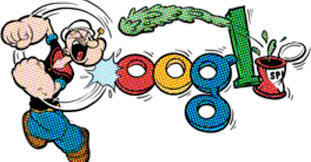 I like and admire Google without whom my knowledge base would be incomplete. Please Google, don't get distracted, keep doing what you do, there are many out here in the real world that appreciate it all. Remember Google, you're a company with a unique motto "Do No Evil." Sooner or later, the devil will come calling. When he does, you have my permission to spit in it's eye!